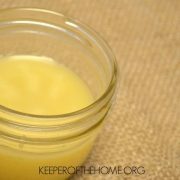 You are here: Home » Blog » Real Food » What’s So Great About Raw Milk? What’s So Great About Raw Milk? Once upon a time, milk was not such a complex or controversial subject. Cows grazed on green grass. Healthy, well-fed, and free to roam, they produced a nutrient-dense, thick, white liquid which was relished either straight from the cow (raw) or turned into cultured dairy for short-term storage or delectable hard cheeses for long-term storage. It was neither heated to death at ultra-high temperatures, nor were its fat molecules shaken until they shattered into minuscule pieces. It was not demonized as a health hazard, declared to be bacterially unsafe, and the cream was a valuable commodity, considered a boon for raising chubby and rosy cheeked toddlers that grew into sturdy young men and women. Today, we see a very different picture. Not only is whole milk condemned as fattening, mucus-producing and artery-clogging, but it is not even legal to purchase raw milk in most parts of North America. What happened in a mere 200 years that this amazing, nourishing food has become chagrined and so misunderstood? From the earliest archaeological records, humans have consumed milk. Nomadic people groups followed their herds as they sought fresh, green pastures for grazing. Herds like cattle and goats were clearly prized in biblical times, and milk or milk products are mentioned more than 50 times in the Bible, usually in reference to extraordinary fertility, provision and rich blessings from the Lord. Ancient Greek and Roman records demonstrate the value of cows, and the extensive use of milk. Hippocrates recommended milk and butter for health. Cattle were extremely valuable to the early settlers of North America, saving the early colonies from starvation and becoming a source of wealth for the average family. This is just the briefest of snapshots of the role of milk in history. I used the book “The Untold Story of Milk” by Ron Schmid, ND as my reference. It is a fascinating read, and very eye-opening. When I read this quote in The Untold Story of Milk, I just had to nod my head in complete agreement. Weren’t the Wright brothers ridiculed and scorned in their early attempts to create a flying machine, as naysayers declared it could never be done, and others that humans were never meant to fly in the first place? And yet, nothing is more commonplace today than to take a plane to get where you need to go. Or what about Dr. Semmelweis, the brilliant Austrian physician who realized that women were dying in droves after giving birth, because their doctors were not washing their hands between performing autopsies and delivering babies. It was 1847, prior to the understanding of germs and their transmission, and despite the fact that he brought the mortality rate from 10-35% down to an astonishing 1% through handwashing practices, his teachings were rejected, he was dismissed from medical practice, and his ideas were not accepted until Louis Pasteur’s germ theory after Semmelweiss’ death. For reasons too extensive for the purposes of this post, raw milk has been thoroughly ridiculed and is now moving into a stage of violent opposition. In the Canadian province of British Columbia (where I live), raw milk farmers are under intense pressure to cease and desist, with raw milk raids and expensive court cases, and we are certainly not the only place experiencing such opposition to the raw milk movement. My goal in writing this post was actually to address more of the benefits and the safety of raw milk, not to get started on a rant (oops! ), and yet it’s nearly impossible for me to ignore these issues when I talk raw milk. The reason? Much of the negative talk that you hear about milk, and raw milk in particular, is simply fraught with the tensions that exist in modern agriculture, between smaller, family-run and sustainable farms and large-scale corporate agriculture, with its focus on profitability and marketability. So little of it is actually about consumer safety and health, but rather about protecting the massive “dairy industry cartel” (not my term, but I like it) and its profits. I can only hope that we will soon reach the third stage, where the benefits of raw milk become self-evident, and the right to purchase it becomes freely available to all. But I digress… let’s discuss why this is a traditional food par excellence. I’m going to use the 6 main benefits stated on the Campaign for Real Milk website as a foundation, because I think they sum it up well, and then I’ll give you a few brief thoughts of my own and some links to learn more details about each benefit. 1. Real milk comes from cows that eat real food. Cows are ruminants and they were made to eat grass. It’s a simple as that. That’s what their stomachs digest with ease, that’s what keeps them strong and robust, that’s what allows them to pump out disease-free milk that is rich in vital nutrients. Healthier cows means no need for antibiotics, and raw milk (or any organic milk) farmers do not use hormones to artificially boost milk production. And have you ever compared grass-fed butter to regular store butter? The difference in color is vibrant– my grass-fed butter is a gorgeous yellow, bursting with nutritional goodness. 2. Real milk is not pasteurized. Milk contains naturally occurring enzymes, as do all raw foods. 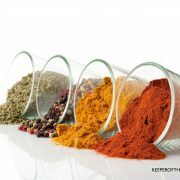 These God-given enzymes are intended to aid in the digestion of the food. It is crucial that our diets contain a good portion of raw foods chock full of enzymes, because this puts less strain on our bodies to provide digestive enzymes, and diminished enzyme stores can lead to illness and early aging. Pasteurization also greatly reduces nutrient content in milk, messes with its fragile protein structure, and (very importantly) kills beneficial bacteria and allows other pathogens and harmful bacteria to flourish in the milk. Other reads: Raw Milk vs. Pasteurized Milk, Abstracts on the Effects of Pasteurization on the Nutritional Value of Milk. 3. Real milk is not homogenized. Homogenization is an unnecessary process introduced so that rather than old-fashioned style cream-top milk, we have milk where the butterfat globues are broken down and mixed evenly throughout. This seems harmless at first glance, but our body cannot assimilate the fat properly, and treats these molecules as foreign invaders, which may or may not contribute to atherosclerosis (thickening of the artery walls), and quite likely does contribute to food allergies and milk sensitivities. 4. Real milk contains butterfat and lots of it! We’ve just talked about why I think that you should eat plenty of real, traditional fats, and that includes whole-fat raw dairy. Butterfat from cows that graze on grass is high in vitamin A and D and K2 in particular, which are extremely important for numerous things including the assimilation of calcium, of protein, for hormone balance, and for a strong immune system (to name a few). It is also rich in short and medium-chain fatty acids, as well as CLA (congugated linoleic acid), with more immune system boosting and heart-healthy qualities. Other reads: Vitamin A Vagary, How Important is Vitamin D? (although this doesn’t sufficiently answer where to get more vitamin D, which I would argue that in the winter, we can get what we need from cod liver oil, and raw butter and cheese that were made with spring/summer grass-fed milk). 5. Real milk products contain no additives. Some dairies add powdered skim milk to 1% or 2% milk, and more commonly to other dairy products like sour cream and yogurt. Powdered skim milk is a controversial topic, because many (but not all) believe it to contain harmful oxidized cholesterol (I haven’t researched this one enough yet, but when they’re tampering with milk at ultra-high temperatures, that’s enough to make me avoid it regardless). Additionally, to help make up for the loss of natural vitamin A and D through pasteurization, or the lack of it due to nutritionally-deficient diets for cows that never see the light of day, synthetic vitamins are added to most milks and milk products. Other reads: The Real Story of Homogenized Milk, Powdered Milk, Skim Milk and Oxidized Cholesterol, and Natural vs. Synthetic Vitamins (I haven’t had time to read through this article with a fine tooth comb, but upon a quick read it seems to bring up a lot of the questions and issues in the natural vs. synthetic vitamin topic). 6. Real milk can save family farms. If we want to protect our right to enjoy real and traditional foods, then we need to support the small family farms that are producing them. Enough said. Do you drink raw milk? Why or why not? 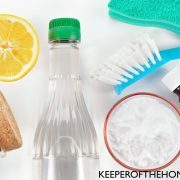 I love your natural living posts! They are so well-researched and well-written. Thanks for the information and links. This has been something my family has been pondering. Yes, we drink raw milk! We are fortunate to live in Pennsylvania, where it is still legal to get it. We go right to the dairy and pick it up for $6/gallon. We drink it because it is REAL food and because it makes great cheese, and yogurt and many other cultured dairy products. I am so sorry for anyone living in the many states in this country where it is illegal to get raw milk (and Canada, as well). However, I don’t take it for granted that we are able to get it here because I know that there are those who want to take away that right to get this wonderful food. I am so thankful that more and more people are waking up to the idea of whole foods…..I am hopeful that this education will bring change for the better in the future! Holly – Wow! $6 a gallon! That’s amazing!! Wish ours was that cheap. It’s $8 a gallon, which is still a deal for here. Some farms sell it for $12 a gallon. But like you, we also drink raw milk! This is a recent find for us, but we’ve been impressed by its health benefits. Plus people with milk allergies supposedly don’t have them with raw milk. Amazing! Shouldn’t really be that “amazing” though, I guess. It’s natural! 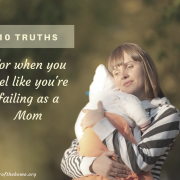 Thank you, Stephanie, for writing this post. I hope raw milk doesn’t become illegal. I hate seeing what the government is doing to the food industry. It makes me sick… literally. i don’t drink raw milk… yet. largely because it’s not available here in Australia! I am loving these blogs (like yours) that I have discovered on my ‘real/traditional food’ journey. I do, though, find it terribly hard to talk to others (i.e. my parents) about these things. Just the other night we were discussing raw milk and why they think it’s wrong, blah blah blah. Drives me crazy when I have researched these things, yet they just argue based on what society has always done. Drink pasteurised milk. Eat meat ALL the time. Drink soft drink. ‘We need sugar’. It never ends! Bianca, you should read the book, The Untold Story of Milk. It is so interesting and fun to read! And then you would have some short but powerful things to say to the critics. Yes, we do! We’ve been drinking it for about 4 weeks now after being on a waiting list for a co-op for 6 months. My husband and girls get sick from drinking pasteurized milk and they LOVE the raw milk- I do, too!! My main reason for drinking raw milk is avoiding hormones and toxins in pasteurized milk for my daughters. It tastes sooooo good! We also drink it for all the other reasons you mentioned plus the fact that we get it for 1/2 what pasteurized milk costs in the stores. We are so fortunate as I know many pay double for raw milk. @Jaime B, I know what you mean! My daughter got a recurring diaper rash from pasteurized milk. I tried everything else I could think of for almost 3 months, then we switched to raw milk and voila, no rash. We just found a close source for raw milk, after wanting to get it for 4 years. I am so happy! We are really enjoying it. Thank you for the article, I am going to book mark it to pass on as I do get asked a lot about how healthy raw milk is. People assume that pasteurized milk is the only safe way to drink it- so sad. @Johanna, LOL! My kids would notice the difference, too. I don’t even buying milk anymore when I can’t get raw. I don’t enjoy the other stuff anymore. Yes, we drink raw milk! We own a family milk cow. We drink all we can, make yogurt, sour cream, buttermilk, kefir, cream cheese, mozzarella, and cheddar cheese. We have a few friends that buy extra from us too. So far it is still legal in our state to sell raw milk IF they come to me. I can’t deliver it. We love our raw milk, pray our freedoms continue, AND pray for the freedom of other states to obtain raw milk too!! I live in one of those states where its illegal to purchase, unless you own a share in a dairy herd. The closest farm I’ve found where this is an option is over an hour’s drive – out of the question in a single car, limited-income family! We can get low-temperature pasteurized, non-homogenized organic milk, which is what we’ve switched to. I haven’t read anything about the low-temp pasteurization process. Does anyone know if its more successful in preserving the health benefits of milk? I know that a friend of mine who suffered from Crohn’s Disease was able to drink it without the same problems she had with store milk – but that’s the only evidence I have that its better for us. I’d love more information if anyone knows anything! @Amanda Z, low temp pasteurized, non-homogenized milk is way better than ‘regular’ milk. Also, kefir will propagate in it way better than in ‘regular’ milk, that has to say something about it. @Mary Korte, I definitely agree. If you can’t get raw milk, I think that’s a really good alternative. When I can’t get my hands on raw milk (it’s a struggle for me where I live) I sometimes go to that option as well. That’s what we drink as well. We can’t get raw milk here. @Amanda Z, I think it’s certainly a much better option than store milk. From what I’ve read, it preserves more of the nutrients and is less damaging to the protein. Of course, you do lose the enzymes and beneficial bacteria. One way that you could deal with that issue, though, is to use it to make kefir and yogurt, and just drink less of it as milk. That’s what we used to do a lot before I had better access to raw milk. Not long ago I ran across a blog, “suburban homestead” I think, of a gal who REALLY advocates against feeding young children raw milk (they keep goats, and pasteurize the milk). I did debate with her a bit, glad to see she has no ‘big dairy’ or fda ties, etc. 🙂 She fears that the modern bacteria/disease is of far greater threat than what they dealt with 100+ years ago (no antibiotic-resistant stuff, etc) and included links to studies and documents that directly contradicted specific information in The Untold Story of Milk, some of Mark McAfee’s stuff, etc. (for instance, the tale of a child sickened with e.coli was made out in the book to be impossible to link to the milk. The family tells a different story). She brings into question Sally Fallon Morell’s information and motivation, and sees Weston Price’s research as more a treatise against modern refined sugars/grains than an endorsement of (for instance) raw milk. I myself have noted a few inconsistencies among some of our oft-hailed raw milk ‘facts’ – the rate of infection, for one. I recall looking at the stats which pointed out “far more people are sickened every year from PASTEURIZED milk than from raw milk!” But the rate of consumption was never noted. If raw milk/products constitute 2% of total dairy consumption, the rate of pasteurized illness would have to be 50 times higher to break even (I don’t know if it’s 2% or much more or much less- that’s just my example). As to Sally Fallon Morell’s stuff, I think someone ‘debunked’ her ancient grain-sprouted-in-the-field-so-people-ate-different-bread wisdom, but I haven’t seen a rebuttal. ALL THAT SAID, we’re still drinking raw milk, and even looking to get our own cow perhaps. 🙂 I still agree that people have kept dairy animals for millennia, and pasteurization has only constituted about 1/60 of that time. 🙂 Feedlots and grain feeding too.. hmm.. 🙂 However, I’m still very interested in the facts, and if you are ever interested or able, I’d love to see a post that tracks down some of that stuff. 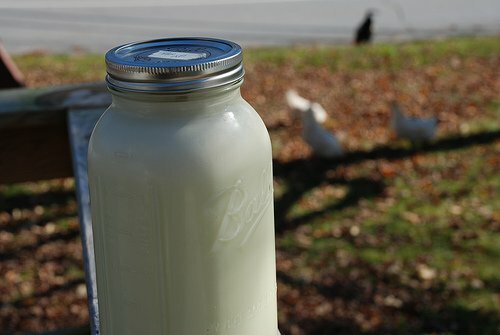 Ah, the post I commented on was <a href="http://www.mysuburbanhomestead.com/raw-milk-debate-rages-raw-milk-safe/&quot; here. I’d love to see a post on that, too! @EllaJac, I understand why the debate still exists. When we first decided to go to raw milk, my husband asked me to really look into it and make sure that I felt this was a safe option for our family. I do know that there is still a small risk with drinking it, but I’ve come to feel that the risks of drinking store milk are greater, and to me, the benefits outweigh the potential risks. But I definitely appreciate you bringing it up. It’s always important to look at all the sides of an issue. I’d love to check out that debate that you linked to, so thanks! @Stephanie @ Keeper of the Home, I know there is much debate over raw/pasteurized milk. We drink raw milk through a cow share in our area, but before we made the switch I was honestly more concerned with the quality and cleanliness of the milk supply rather than if it had been ‘cooked.’ I think that the dangers of raw milk are very real. I have two sisters-in-law who are pediatricians and they do see active cases of listeria infection in their hospital due to raw milk. However, this raw milk has almost always come from either a source (dairy or individual cow owner) that was less than ideally clean, did not regularly test their cows/milk for disease OR the purchaser of the milk did not handle the product with the care it needs. Just because we can make cheese and kefir with the milk does not negate the need for refrigeration if it is to be consumed as an fermented beverage. I also have found that it is best for my family not to engage in discussions with people who are uninformed about their milk (or any other food, for that matter) supply. I am confident in our amazing dairy and the family that runs it. If someone else comes into my home, they may choose a different beverage to drink. If the discussion comes up and I know the person to be vehemently against our raw milk, I simply say, “thank you for your concern, but I don’t think that in this house groceries are fun or polite conversation.” and change the subject. @Chloe, I appreciate that you’ve brought up the important topic of ensuring that the place where you buy your raw milk is clean and sanitary, and that they are regularly testing their cows. It’s very, very important. If someone is unsure of the cleanliness of a facility, it’s just not worth it to buy milk there (even if it’s your only source!). Thanks for your comment, Chloe! What a great post! Thank you for all the work that went into this. I hope and pray that cooler heads will prevail, if raw milk enthusiasts keep plugging away at it’s safety. It is illegal in our state and all surrounding states (we are in Mobile, AL) but my question is, is organic milk similar to raw milk in any way? Great post! YES! We drink raw milk and cultured raw milk. I have to travel across state lines–a 3 hours round trip– to get it every couple of weeks. But it is worth it. I also apreciate the Scripture and biblical context you used. God created our bodies and provides us the perfect foods. Father knows best! Making a milk run today! Blessings! We used to buy raw milk and now we don’t. The kids LOVE the raw milk, but I have been lazy. The store milk lasts so much longer (I know, it’s one of the disadvantages since it’s not living food) and our raw milk seemed to turn so quickly we had a lot of waste. (The kids do most of their milk drinking at school and of course it’s the crud that the gov’t sells!) I don’t like raw milk in my coffee as it separates and makes a film on top, and then the bad breath afterward tastes/smells like you’ve got a wad of feta cheese between your cheek and gum! So for now we just buy the store junk for convenience. Lame, huh? On summer vacation we will go back to the raw milk when we can consume it in a more timely manner! @Rose, I’m guessing you know this, but the milk that turns sour can still be used in lots of ways– in cooking in the place of milk, or whenever a recipe calls for “buttermilk”. You can also use raw milk to make raw yogurt if you don’t think you’ll finish one of your gallons. I just started that this week and love it! Ours is really runny, but I strained it through a coffee filter over a bowl for a few hours (saved the liquid; it’s whey) to thicken it up or just used the runny-style in smoothies. You can also turn the fridge temp down further to encourage the milk to stay sweet longer. YES! We will never turn back. Our youngest daughter came home from Liberia, had been on the brink of death when she was 6 months old from malnutrition. We gave her raw milk. One year, while vacationing, we gave her homogenized, pasteurized milk. When she would normally drink one cup of raw milk, she was drinking 5 or 6 cups of store bought milk. I was convinced before that occasion, but now I used that example to tell others about the benefits of raw, real, milk. We love our raw milk. We live in Washington and I am able to get it for 7.50 a gallon which seems reasonable, plus the milk is delivered to my door which is awesome! (I am a drop point, others pick up from me) I feel like it is one of the most important parts of my children’s diet. And as others have mentioned, after only several months of drinking it, store bought milk is absolutely disgusting! I enjoy your blog, Stephanie. I love finding “like-minded” sisters and gleaning from them. @Betsy, Oh, you’re getting a better deal than I am! I go down to WA to buy my milk as well (I’m in BC, Canada) and I pay more like $8-10 per gallon. How awesome that you get it delivered! We drink raw milk, too. We have a pastured Jersey, and we get about 3 gallons a day of the creamiest, sweetest milk we’ve ever tasted. I love that my kids who are dairy allergic can drink the raw milk and are eczema-free! They also react less to mosquito bites and hayfever now that we’ve switched to raw milk products. I know that is only anecdotal, but it is working for our family. @Kathleen, I have definitely heard that often, that those who can’t handle dairy can do raw milk. I used to consider myself lactose-intolerant, but I have no issues with raw milk whatsoever. My youngest daughter unfortunately still seems to be unable to tolerate even raw milk, though. I think there are still some true milk sensitivities/allergies regardless of which milk you drink, but I think that in general many who can’t drink regular milk are much more likely to do well with raw milk. All of this stuff is new to me, these posts you have been writing on natural foods. I haven’t had time really figure out what all I believe, but thanks for intruducing me to it all. I’ve really been enjoying your posts. @Jaimie K, I’m so glad you’ve found them helpful, Jaimie! A friend of mine had told me of a family farmer that sells raw milk for only $1.50 for a half gallon…not bad. Unfortunately, I have not made the step due to the fact that we have to drive about 30 minutes to get it, and right now I already drive an hour a day for work in the opposite direction. At least I have switched to organic/grass fed milk…baby steps! 😉 I hope I can make so many more choices easier when the time comes to be at home mom…in time. Oh how I miss my raw milk. For some reason shortly after going GF I discovered I could no longer drink raw milk – think massive headaches. I think going GF created a dairy insensitivity. So I haven’t been able to have raw milk for a few years now. I do have raw cheese occassionally but I’m doing GAPS to see if I can reintroduce all raw dairy eventually. I have a great source nearby – here in GA it’s ‘pet milk’. Raw milk is illegal for humans. Can’t wait to have it again!! My almost 7 year old has never had anything else. I used to send it to his preschool and home daycare. My 15 month old is still nursing and he didn’t really want milk yet so I haven’t pushed it. We drink raw milk, all six of us. My kids have wide faces and straight teeth. 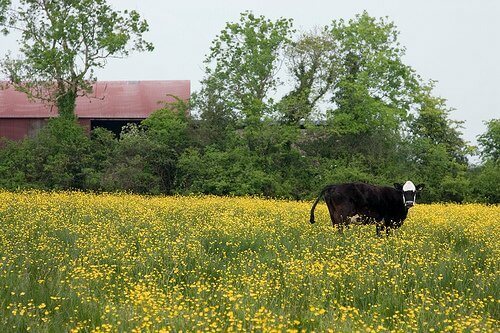 We have our own source as we are organic dairy farmers. Our cows get lots of grass in season and are very healthy. It is so beautiful to see them hurrying out to pasture after their morning milking. The fence is moved every day so they get a new area of grass and they can’t wait to get there! @Marcy, That sounds wonderful. I dream of having a milk cow one day! Haven’t found a source yet, but pondering it. raw milk finally became legal in Idaho about a year ago. One small family farm in the Treasure Valley delivers fresh raw milk to my door every week. I had the pleasure of visiting their farm this past week and was thrilled to see how important cleanliness is to them. I appreciate that the person who milks the cow for my children is also milking the cow for his children. We enjoy the creamy richness of the pastured jersey milk for our pudding, cereal and kefir. LOVE this post!!! How wonderful it is that you inform your readers so well…thank you for the links you share and the thought you put into your posts. We LOVE raw milk. We owned a cow share in Indiana. Here in TX, we purchase directly from the farmer. We drink it for all the reasons you mentioned. I prefer to purchase directly from the farmer. No feedlot/factory farm foods here please! 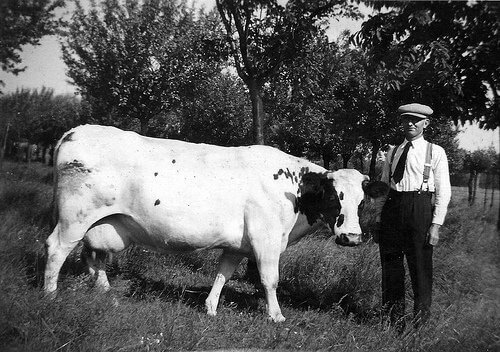 When I married a farmer years ago, we had a milk cow. I didn’t like the taste of it. The milk taste changed according to the seasons and whether it was getting grass or hay. I have always liked milk, but I didn’t like that. I was so glad when we sold the cow and I could buy pasteurized milk again. Sorry to be a nay sayer, but to each his own. we own a share in a local herd (the only way to get it legally here in Colorado) and enjoy our raw milk. 🙂 it costs quite a bit more than store milk and is definitely not as convenient to get (we have to go to a local farmer’s market to pick up our share), but we believe it’s worth it. Raw milk is illegal to sell in Kentucky but I used to drive an hour into Indiana to get ‘pets milk’ too. I have never felt better than when I was drinking it and eating yogurt made from it! I’ve become lazy about the drive but I’m thinking about picking it up again. I have one question though, since you have to drive so far to get it, do you store some milk? Is it even possible to freeze it? I could only pick up milk every other week and I’m trying to figure out how it can last for that long? @Amanda, I do stock up on it and freeze it because I have to drive at least an hour each way to get mine (and I actually have to cross the USA/Canada border). I typically buy 3-8 gallons at a time, depending on how much storage space I have. I will keep some of that for fresh drinking, plus make a batch of yogurt and kefir. The other gallons get frozen and I thaw them as I need them. They aren’t as nice anymore for drinking straight (but the kids don’t mind and I’ll still drink it in a pinch), but they’re still fine to use over oatmeal, in a smoothie, and definitely for making cultured dairy. I’m in MI and own a herd share. I actually drive an hour each way to pick up milk for other herd share holders – I bring back about 25 gallons a week plus butter, cream and eggs. My kids would not drink store milk, ever, and they beg for their “farm milk.” Hurray for real food! Oh my goodness! I’m feeling blessed. Our local farmer is organic and raw delivered 5 minutes from my house and $4/gallon. (If we actually go to the farm 15 min. away it is $3/gal.) 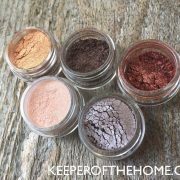 I didn’t realize how cheap that was until I read the comments for this post!! Thanks for all this info! I cannot afford raw milk, and I don’t know where to get it where I live, so we drink the hormone free milk from the grocery store – either Golden Guernsey or Kemps Select. I have not been drinking milk for about 4 years (with the exception for a tad bit of heated milk in coffee), because it gave me intestinal troubles, discomfort, & flatulence… But previously, I drank milk – a lot of milk – ever since I was little. I have no idea what happened that all of a sudden about 4 years ago I suddenly had problems any time I drank milk – and no problems at all with any other type of dairy. Maybe something in the milk changed? I don’t know. But my question is, do you know if someone can have problems with one type of milk (such as skim milk) and no problems with another type (such as whole milk)? I crave milk – I just really like it, and I really really missed drinking it. So a couple of weeks ago, I just had to drink some. I drank some whole milk, and no problems. So I’ve been drinking a little milk each day since then, and no problems. Do you have any insight in to why I can now drink whole milk and not have any problems?? Did my body heal after not drinking any after 4 years? Is it the kind of milk that makes the difference – whole vs. a lower percentage of fat? I’m puzzled! @Jill, I don’t know of any difference in digestibility between drinking whole milk and skim milk (although I definitely think that whole milk is better for you!). But, it could also be that you’ve taken that 4 year break from milk. I used to really struggle with lactose intolerance and IBS. Once I figured out a dairy connection, I went virtually off of dairy (with the exception of just a few cheats) for about 2 years. For me, that break from dairy seemed to be healing, and then when I began adding yogurt back in to my diet, I did really well with it. After that, I added milk back in (in small amounts) and also tolerated that. Once I switched over to raw milk and cultured dairy products entirely, I found that I could have as much dairy as I wanted. I do buy my milk in WA now, but not at the Aldergrove crossing. I go down to Ferndale, to a feed store or direct to the farm, and get Jackie’s Jerseys raw milk, or else I buy it down in Seattle from Marlene’s health food store when we’re visiting family. 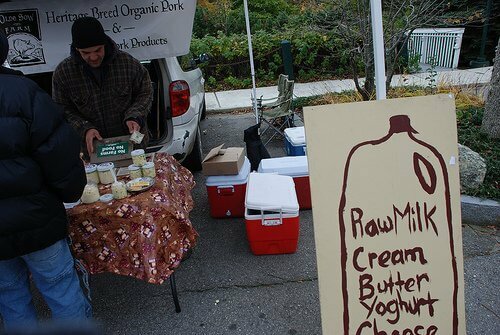 We love our raw milk, purchased from our neighbor for $6 a gallon. We are blessed indeed! BTW, i am still on the fence about milk. we don’t consume much of it, but we do consume a lot of butter, cheese, yogurt and kefir. i’m in FL and RAW is only legal as “pet milk”. i heard it goes for $12 gallon at the nearest source… which is 2 hours away :(. i am searching for a closer source, and hope to at least TRY it! @Mary Korte, I also live in the Treasure Valley in Idaho. Where are you getting this milk from? We are currently getting ours from a farm in Eagle, ID. It takes about an hour and half round trip every Friday to get our $7.00 gallon of milk. It’s a great family farm and we love the milk, but with 5 little girls I’m homeschooling, sometimes I wonder if it’s really worth the drive. If I could get it delivered that would just be icing on the cake! Thanks for this post and all the comments! It has helped me want to continue to do what’s necessary to get that raw milk for my family! I used to buy raw milk it was about 8 dollars a gallon. It was still giving my now oldest son trouble (runny stools and bloating). With my other son it was eczema and bloating. I love raw milk, but the expense and the fact that the kids couldn’t tolerate it made us stop. For awhile we were buying lactose free milk, but we noticed still some symptoms with my oldest (He is now 7 yrs old.) the symptoms were nasal drip (constantly clearing his throat) and bad breath. I finally took him off of milk. He still can eat cheese and creme with no problem. Go figure. But…his clearing of the throat is gone and so is his bad breath. Now 4 of my kids are on rice milk (they still can eat cheese) . I have seen at Trader Joe’s non homengenized milk and someone told me that is the next best thing. A lot of people love goat milk, but it tastes too “goaty” for me! We love our raw, grass-fed, Jersey milk! It took me a year to find it, but I’m so fortunate to have it delivered to my door weekly by an organic delivery service. I can also purchase raw butter, raw cream and pastured eggs through this service! It all comes from Amish farms nearby. I do pay $30 a year for the herd share, and the milk is $8 per gallon. I can get 2 gallons per week. Raw cream is $14 a quart (ouch! ), and raw butter is $9.99 per pound. I’m so excited for the deep yellow, nutrient filled spring butter! I plan to stockpile as my budget will allow, so we can have it through next winter. Raw dairy is one of our biggest real food expenses, but we consider it worth every penny. My 3 year old began getting raw milk at 1 year of age, and he has the most beautiful teeth and spacing that I’ve seen in a child his age. In December I had another son, prematurely at 29 weeks. It was rough for both of us, but we’re both doing great now. I pumped exclusively for him for 3 months, but breastfeeding didn’t work out for us. His consumption soon outpaced my production, and he is now getting the WAPF raw milk formula. I’m so thankful this nutrient dense, real food is available for him! I beat myself up a lot less about not being able to breastfeed him, knowing that there is a great alternative to store bought formula. He is my last baby, and I really wanted to succeed. I’ve hosted a co-op for a raw milk farmer for about four years. We’re so thankful we can get it, although right now we are fighting to keep (and even) expand our right to get it in Texas. It’s made me a little more politically active, which probably isn’t a bad thing! @Rachel, Did you look at the listings on the RealMilk.com site as well? That’s how I’ve found all of the raw milk that I buy. i have been interested in it because 2 of my kids are lactose intolerant and i have heard it really can help. right now we limit dairy intake and then supplement with enzymes when they do consume it. great article! I’m just loving your blog. You really have great content. I had no idea how expensive raw milk could be. I am so thankful for our resource at just under $4 a gallon. I think it would be hard for me to shell out some of the prices I see here. Kudos to those of you who are so committed to having raw. Great post. I’m glad there is a lot of conversation “out there” on this important issue! @Natalie, I’m not sure what kind of cow you have, but most family cows (jerseys, small cows) I’m familiar with produce 4 gallons a DAY. If you’re entitled to half, you might want to check on that… :] If it’s a holstein, it might be much more. Oh my…I just noticed that it linked!! I didn’t even do anything! Cool! I WISH I could get raw milk… but I live in Alberta, and there’s no where even remotely close that I could get it. Do you think drinking regular (whole) homogenized milk from the grocery store is bad? (Just for in our tea and for baking). This post is extremely timely for me. I’ve been introducing more “traditional” foods to our family diet in an effort to combat some on going issues. In the past two weeks I’ve focused my research on raw milk and have been trying to discuss with my husband and extended family about the benefits. While my husband agrees that pastured, raw milk could be healthier, he is not swayed that it is so much more beneficial and warrants the added cost. Our closest local source for raw milk charges $7 a half gallon with an additional $3 container deposit. With three children and nearly a gallon and a half of milk consumed in a week, he cannot see past the added cost. I’ve been praying and trying to honor my husband in this matter, but it is difficult. @Rachel P., It is difficult in that situation, but I think you’re doing the right thing by trying to honor your husband. When it all comes down to it, drinking raw milk isn’t the most important thing in the world. 🙂 But, obedience to the Lord and respecting your husband is of great importance. Keep praying and perhaps in time you will be on the same page with this matter (and if not, that’s ok, too). @Rachel P., By decreasing consumption, and/or using raw milk to make other dairy products (keifer, yogurt, etc) you can keep milk in the budget. Look into a suggested daily amount of milk for your family. It may help keep raw milk within the budget! The statement above is the exact opposite of what is currently accepted in the scientific community. Can you please provide a more up-to-date reference that supports this claim? The few references you use to support this article (that I checked out) are all from 1939 or older. Thank you so much. 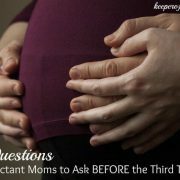 What would you recommend giving a baby/toddler that has a dairy allergy and cannot consume cow or goat’s milk? Soy does not seem to be the answer and I was not happy with the ingredient I read on the almond milk. I would just like to add, although it is late in the discussion, to please be careful about who you try to get raw milk from, for the farmer’s sake. I grew up on a dairy farm… it has taken me a long time to get used to “store bought” milk! I love raw milk. However, it is important to remember that not everyone’s body reacts well to raw milk, especially if they have been drinking store milk. No one in my family ever got sick… but we were raised on it! We used to provide the milk for our church dinners, etc., but it has simply become far too risky. Even a very clean dairy might end up with something in the milk that makes someone sick… and this creates a huge liability issue. We have people come to our farm all the time asking for raw milk, but we cannot give it to them because, a) it is illegal, and b) it is very risky for us. 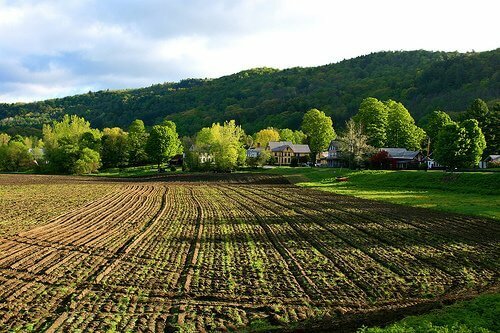 As a small family farm, a lawsuit of any kind would be very detrimental. I’m all for drinking the milk you love, but just consider the whole picture. It is this exact thinking that has created the scare-tactics associated with drinking raw milk. I find it hard to believe someone who grew up on a farm drinking raw milk would ever convert to the conventional poison the government wants you to drink. Anyone educated about raw milk knows that more people can handle raw milk than conventional milk. More people are lactose intolerant becuase the necessary enzyme (lactAse) is destroyed when pasteurizing conventional milk. Anyone who knows raw milk would laugh at you. I think you work for Hood! And any small farmer that sells raw milk tests it extensively after each batch before selling it to ensure they are not held liable for food born illnesses. It is cleaner, fresher and healthier (not to mention 0 carbon footprint) than any store bought milk on the market today. I am just learning about the benefits of raw milk. I would like us to have a choice, though we have not drank it before. I do think it is somewhat of a double-standard that no one would ask a mother to pasteurize her breast milk. That would be an atrocity! I certainly hope that issue never comes up for debate – but yet people think raw milk is evil. I went along on my daughter’s preschool field trip to a conventional dairy farm. It just didn’t seem right that these huge cows just lie there and eat the grains they are fed and dont even get direct sunlight. Right – I wouldn’t dare drink raw milk from these cows!! I felt bad for them even though the farmer was talking about how they were living it up (living like a beached whale). I have a question. I recently started buying raw milk from a farm that does not regularly test their cows. I visited their farm, but for me (raised a city girl), I have NO idea how clean a farm should be. I have visited 2 other farms in the past, and they look somewhat the same. What would I look for? Should I be buying from a farm that does not test their cows? @Anne, Maybe. I would look for the farm being very clean, especially where they do the milking, where the milk is stored, etc. Is it all stainless steel, kept cold as soon as it’s milked, does the farm family drink it themselves, etc.? Ask about their methods, their sanitation, and see how the farmer answers. If it sounds (and looks to your untrained eye) like he’s intentional about being careful with his milk, then I would go ahead. If he answers vaguely or gets defensive, or if the look of the barn and milk holding conditions just don’t sit well with you or look quite right, I might re-consider. Yes, I do drink raw milk, and eat raw cheese, and make my own yogurt from the raw milk, when I have the time. My question has to do with long storage of food. I know powdered milk is bad. Do you have any suggestions on where to buy or how to store dairy products to be shelf stable for emergencies (when I can’t get to the farm)? For example, I have read that cheese will keep at room temp if enclosed in wax, but don’t know for how long. Eggs can apparently be stored up to a year at room temperature if they are fresh from the chicken, unwashed, and stored properly. One site says yogurt can be dehydrated and stored. One concern here would be loss of power and then these foods would spoil because of the high temperatures and humidity where I live if we were without A/C. But I am struggling to find a way to store real milk, assuming no refrigeration. Can it be canned? Help. What if raw milk is illegal here in BC Canada? Will I be better off without drinking any milk and consuming any dairy products?